In 2020, the world’s attention will be on Detroit as the Detroit Music Weekend meets the North American International Auto Show. Are you ready to shift into overdrive? Check back for updates on the largest one day festival of Cars & Stars on the planet coming on June 13th, 2020. DMW commissions, produces, presents and markets a full spectrum of performances; music, dance and theater. Showcase stages offer opportunity to up-and-coming artists, invigorating the pipeline of next-gen talent. Cultural organizations, restaurants and retailers are invited to add to the fun by offering performances and activities whether on-site or in their own location. Most importantly, the Detroit Music Weekend brings together the fans and supporters of each participating artist, performing company, and organization. Collectively, this begins a new narrative that we are a unified Metropolitan region using the arts to create productive working relationships between the city and suburbs. Demonstration of the power of the performing arts to contribute to Detroit’s economic comeback: YES! 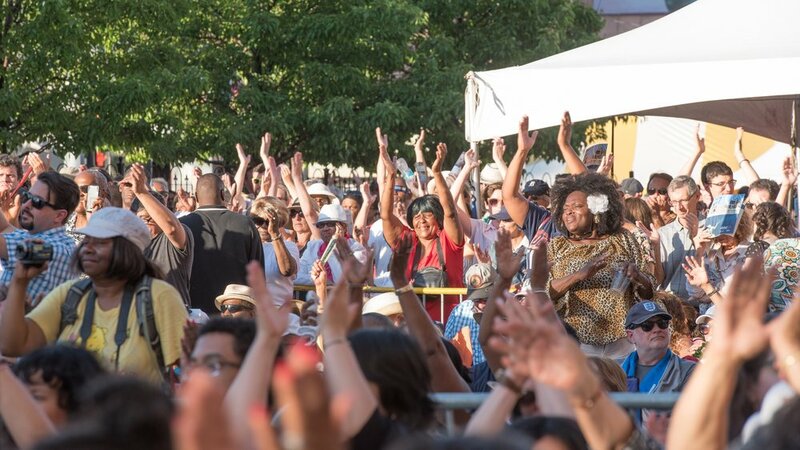 Founders of Detroit Music are partnering with the City of Detroit, Detroit City Council, Detroit Entertainment District Association, Detroit Metro Convention and Visitors Bureau, The Carr Center, Detroit Opera House, Motown Museum, Music Hall Center for the Performing Arts, R&B Music Hall of Fame, and over 40 arts organizations to create an annual destination weekend in Detroit. Detroit Music will commission, produce and present a full spectrum of Metro Detroit’s performing arts with showcase performances and concerts. The weekend will also be filled with cultural exhibits from Detroit’s finest not-for-profit museums and galleries in addition to highlighting all the new restaurants and retail in downtown Detroit. For the Inaugural weekend, the Board of Trustees and staff of Music Hall Center for the Performing Arts will serve as the producing entity. This is a familiar structure to Music Hall’s production of the Detroit Jazz Festival from 1991-2005. Most importantly, the Detroit Music Weekend harnesses individual cultural organizations’ lists of supporters into a single, unified marketing approach – signaling the beginning of a new era for a collaborative Detroit. It’s time for a new narrative and a performing arts-based cooperative that unites the city and its suburbs with durable, productive working relationships. Additional Visual Arts Exhibits & Performances, Discounts and more!! !